Condor Vanquish Cummerbund |ReplicaAirguns.ca | Easter Weekend Sale! Comments: Stay primed for the battlefield with the Condor Vanquish Cummerbund. 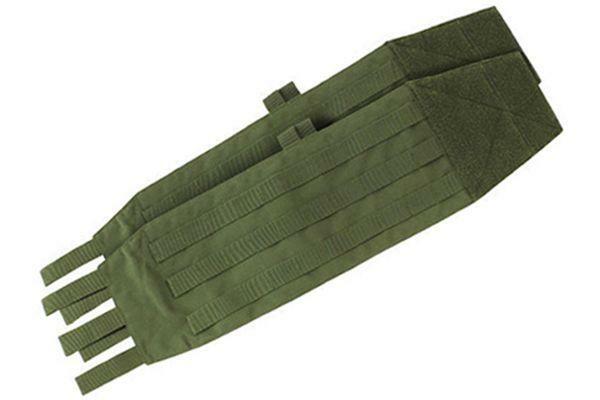 This tactical accessory can be added to a plate carrier vest for increased protection. The cummerbund comes fitted with modular hook and loop panels and adjustable straps. The Medium/Large size cummerbund can fit 152.4 mm (6 inches) x 305 mm (12 inches) soft armor side panels and the Large/X-Large size accommodates plates measuring 152.4 mm (6 inches) x 381 mm (15 inches). Available in black, olive drab, multicam, and coyote brown.